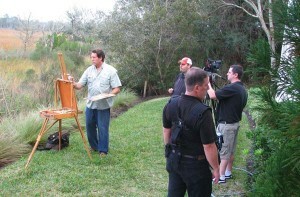 Peter was recently invited to appear on Amy West’s Television program “Like Love Want Need” www.likelovewantneed.com with Jacksonville based art consultant Susan Osteen whom he has teamed up with in the past on many art installation projects and commissions. The segment aired in January of 2013. You are currently browsing the Peter Pettegrew blog archives for February, 2013.